Elaine (Lan Yin) Hsiao is Co-Chair of the Theme on Environment & Peace at the International Union for the Conservation of Nature’s Commission on Environmental, Economic & Social Peace and an Honorary Member of the ICCA Consortium. Sources: Biosec, Cornered by Protected Areas, EcoPeace Middle East, Forest Peoples, Geoforum, IUCN Academy of Environmental Law, Journal of Sustainable Tourism, Politické vedy, The University of British Columbia. The dissertation is based on a legal review of 56 transboundary agreements representing 32 transboundary conservation areas, complemented by online survey responses from 88 practitioners who worked in a total of 80 transboundary conservation areas, and field research in two case studies from Africa’s Great Rift Valley (the Greater Virunga Landscape between Democratic Republic of the Congo (DRC), Rwanda, and Uganda; and Kidepo Landscape between South Sudan and Uganda). The design of transboundary conservation area agreements should integrate all three categories of peace, as well as conflict-sensitivity, and conflict resilience if they are seeking to contribute measurably to positive peace. However, most of these agreements do not actually mention peace, conflict, or conflict resolution. When they do, it is often in reference to the name of the transboundary conservation area, an organization, or the concept of parks for peace rather than an objective or process. Furthermore, when it comes to integrating international, social and ecological peace, transboundary conservation area agreements are mostly focused on ecological peace. One prevailing assumption is that transboundary conservation areas are designed primarily for biodiversity conservation (ecological peace) and that peace is merely a potential side-benefit of environmental cooperation rather than a meaningful process embedded in cooperative governance. Many survey participants confirmed this position, noting that peace and/or conflict resolution are not relevant objectives for their transboundary conservation area. We also need to consider how international, social and ecological peace are addressed in transboundary agreements. The most commonly incorporated social peace mechanisms are participation and benefit-sharing. Unfortunately, clauses mentioning the participation of communities are generic statements about including local communities, without defining how or in what. None of the agreements mandate or require a minimum threshold of Free, Prior and Informed Consent (FPIC) in decisionmaking, although this is a commonly accepted international legal standard. Mentions of benefit-sharing are similarly undefined, and in practice can appear as “trickle-down” revenue sharing schemes that rely on ecotourism development and frequently fall short of community expectations. A few transboundary agreements pay respect to a recent history of violent conflict or warfare, but they do not address historical injustices related to conservation-induced human rights abuses, such as the forced displacement of indigenous peoples, or provide any grievance/reconciliation mechanisms for long-standing social conflicts. Conflict resolution most commonly involves a standard dispute resolution clause referring to disagreements about how the agreement is to be interpreted and not about addressing conflicts throughout the broader land and/or seascape. In order to truly heal conflicts and build peace, transboundary agreements need to better address these challenges to social peace and integrate social peacebuilding with the goals of international and ecological peace; especially given the mounting social criticism of protected areas and transboundary conservation areas. The Greater Virunga Landscape and Kidepo Landscape are two transboundary conservation areas with an ongoing history of violent conflicts, including rocky politics between states, ethnic conflicts between peoples and human-wildlife conflicts ranging from crop-raiding to large-scale extraction and land conversion. 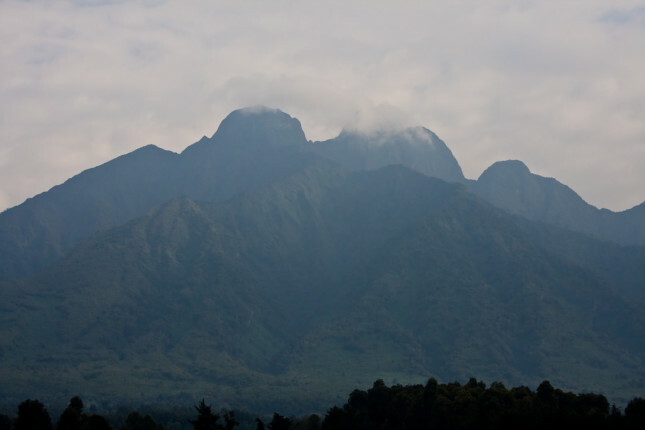 Of the 56 transboundary agreements reviewed, the Greater Virunga Landscape and Kidepo Landscape are two of only three agreements that specifically mention environmental peacebuilding. Transboundary agreements in the Greater Virunga Landscape began as Memoranda of Understanding between NGOs, then ascending levels of government (park authorities and ministries), and led to a 2015 treaty between heads of state. The Kidepo Landscape took the alternative approach of starting as a treaty between states and has progressed little since. The experiences of these two transboundary landscapes suggest that where violent conflicts plague conservation borderlands, it may be more effective to operationalize local activities designed for conflict-resilience and conflict-sensitivity by sustaining local presence and cooperation through sustained resources, solidarity and agreements, formal or informal. In these contexts, on-going local cooperation is preferable to initiating a high-level cooperative agreement or treaty with insufficient institutional capacity and resilience on-the-ground, which can lead to “paper parks” that exist only in writing. In other words, transboundary conservation cannot be imposed from above in violent landscapes or it may not survive tensions. Where functioning systems of transboundary conservation do not yet exist, we can look to existing systems of transboundary governance and peacebuilding as alternatives to build upon. For example, in the Kidepo Landscape there is an important and untapped role for community-based and/or endogenous conflict resolution. Traditional systems of clan leadership and long-standing practices of inter-tribal peacemaking, as well as “neutral” third-party facilitation, such as cross-border peace dialogues facilitated by the Catholic Diocese, are bringing tribes together across the border for conflict resolution where cross-border conservation has failed. Building on and collaborating with these systems can bring environmental peacebuilding practices into social peacebuilding processes. Formalize legal agreements that are negotiated at an appropriate level for sustained cooperation. The level of agreement(s) should reflect feasible levels of cooperation. If agreements are high-level, cooperation may remain political; whereas ground-level agreements may better support operational integration. Provide clear mandates supporting peace and conflict resolution through multilevel institutional frameworks and ongoing activities. Binding instruments are preferable to non-binding instruments; however, it is more important for de facto cooperation to be empowered and maintained. Codify mechanisms that have proven to be effective. Agreements should support what works on the ground. Recognize functional transboundary institutional and governance arrangements and strengthen their capacity to work across borders for conservation and peace/conflict resolution. Incorporate alternative and/or traditional peace and conflict resolution practices that are legitimate and effective. Provide sufficient authority to implementing parties to undertake activities to build peace and resolve or transform conflicts. Ensure that transboundary conservation is conflict-sensitive in terms of international, social, and ecological peace/conflict. Undertake conflict mapping and socio-legal analysis in order to determine existing landscape of conflicts (international, social, and ecological) and be sure to address and provide conflict resolution mechanisms for all identified conflicts and stages of conflict in the agreement(s). Do no harm. Consider historical injustices, long-standing, or broader conflicts and any conflict triggers which may be affected by conservation activities and prevent/repair conflict impacts. Include safeguards. Develop mechanisms to prevent the mis-use of resources (natural, human, or capital) in conflict activities and ensure protocols are in place for all staff members and partners engaging in transboundary activities. Ensure that transboundary conservation is conflict-resilient. In times and/or places of violent conflict, maintain support to local-level operations. Seek assistance from neutral third parties, possibly in neutral third territories, to facilitate on-going transboundary engagement through meetings, activities, and information-sharing. Include or engage with all relevant parties, not just traditional conservation actors. This may include security organs, peace disrupters, local communities, corporations, or private enterprises operating in the landscape. If the transboundary institutions are perceived as neutral conveners or mediators, they may be able to bring these stakeholders together or to engage with them separately without losing credibility with other actors. These relationships and engagements must be carefully managed so they do not negatively affect conflict dynamics. Transforming conflicts in and around transboundary land and/or seascapes begins with changing transboundary conservation area design, from transboundary governance, to institutions and cross-border agreements. In this way, transboundary conservation areas can transition beyond symbolic aspirations towards operative positive peacebuilding.